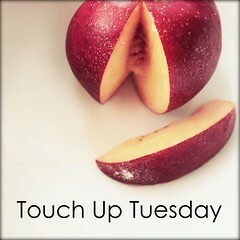 I love Touch Up Tuesdays with Paper Heart Camera. My photo submission is one I took of my daughter and nephew Christmas Day this past year. They wanted to go outside and play on all the fun power wheels and bikes.